So by my current projections, this zoo will be going under and closing its doors for good within 6 months. 6 months? This is terrible, I’ve been working here for 20 years! I just feel for the animals, those tender, nubile creatures. Yes, it would take a miracle to save our zoo, I mean we are talking act of God stuff here. Guys, a miracle just happened! Look, unless a panda just won the powerball it doesn’t matter. Seriously Gordon, this zoo will be bankrupt by winter, none of us are in the mood for another one of your miracles. What is it this time? Did a gibbon pee the face of the Virgin Mary into a tree stump…again? Ok, I know you’ve doubted me in the past. But check this one out. So we have 3 hammerhead sharks, all female, in our tanks here. Now they have not been around a male shark for over 3 years. This morning, there was a baby shark swimming around the tank! Wow, a virgin shark birth. I’ve never heard of that before. Wait, So no shark males were anywhere near the tank? It must be that miracle we were looking for. It could be the event we were looking for to save our zoo! Are you sure this baby is 100% shark? Just askin’, no human features or anything? Of course it’s 100% shark, why would you ask that? Anyways, I don’t think I need to explain what all this means…. That sharks are one of many creatures on this planet who have learned to reproduce asexually, and now we have proof? That is one way to look at it, but I choose not to. No, I believe it obviously means that we are witnesses to the virgin birth of Shark Jesus. It is my belief that Shark God sent down his one begotten Shark Son to try and save the Shark People from eternal damnation in Shark Hell. Hold on Zach, he’s on to something. If we market our zoo as home to ‘Shark Jesus, the miracle baby’, religious nuts from around the world will flock to us. Spending big bucks just to catch a glimpse of him. Come on, people aren’t that stupid. Gordon, do you still have that baking sheet with the rust Virgin Mary on it? Sure do, paid a grand for it too! Oh my God you’re right, this will totally save our zoo! Hey, uh, you’re positive that Shark Jesus doesn’t have anything crazy like opposable thumbs right? Why are you so worried about Shark Jesus being some kind of mutant hybrid? (changing the subject) Our zoo is saved! Gordon, There has been a terrible accident. A sting ray In the same tank just killed Shark Jesus. I’m sorry. Well I better go update my resume. Don’t be down everyone! Shark Jesus has been martyred! But through death he will be stronger and bigger than ever! 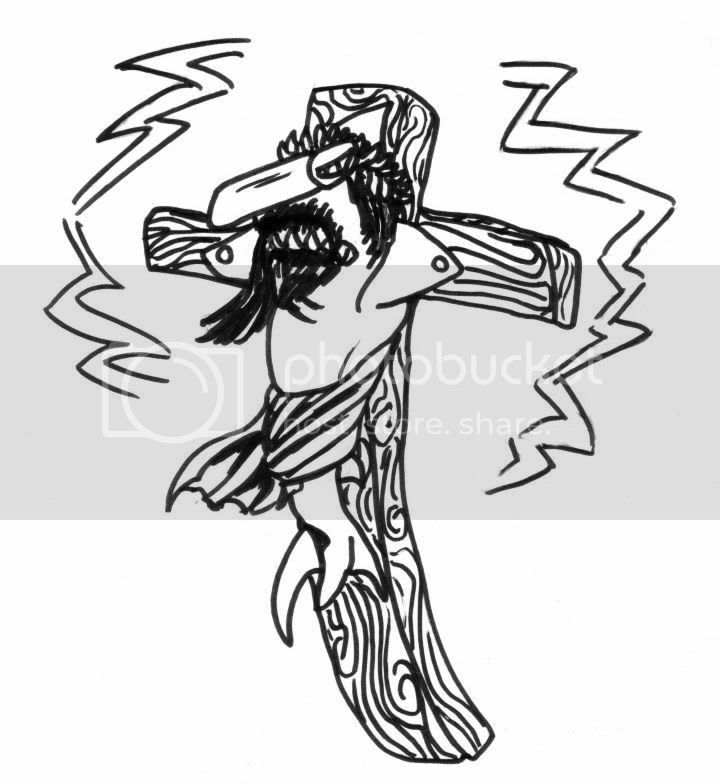 Thus is the legend of Shark Jesus, aquatic messiah. икони на светциI got trolled on one of the many comedy sites I write for! In this case it was a site that I goofed on Ohio State on back in early 2008! This just happened tonight, over halfway through 2011~! Thanks! I am going to a well known blogger for those who aren’t already! And thanks for ‘recognising’ that my post was good! Emoticon Wink!!! On a side note put down that Keystone Lite case, and pick up a Spell/Grammer check, Buckeye Fan!!! Already understood, but I think we can all agree that my S was hilarious, and this buffoon is a buffoon.